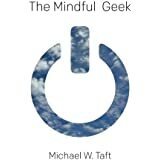 Michael W. Taft joins us to speak about The Mindful Geek: Secular Meditation for Smart Skeptics. Remember the movie Revenge of the Nerds, or do you ever watch The Big Bang Theory? The heroes are the brainy folks who like comics, computers, science fiction and science fact. They are also skeptics, wanting to learn about why we have the provisional understanding of the natural world that we do. The see beauty in fractals, and hear the music of the cosmos. These are also the people I most identify with, and why it’s personally gratifying to be able to have an episode about mindfulness that would appeal to my tribe. 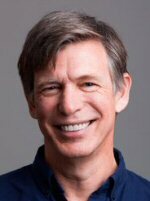 Michael W. Taft is a meditation teacher, bestselling author, science fiction freak, and neuroscience junkie. As a mindfulness coach, he specializes in secular, science-based mindfulness training in groups, corporate settings, and one-on-one sessions. 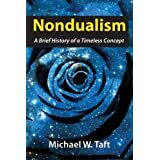 Michael is the author of several books, including The Mindful Geek, and Nondualism: A Brief History of a Timeless Concept, Ego (which he co-authored), as well as the editor of such books as Hardwiring Happiness by Rick Hanson and the upcoming The Science of Enlightenment by Shinzen Young. He has taught at Google and worked on curriculum development for SIYLI. Michael is also an official advisor to the Therapeutic Neuroscience Lab. He was previously editor-in-chief of Being Human, a site for exploring what evolution, neuroscience, biology, psychology, archeology, and technology can tell us about the human condition, and was editorial director of Sounds True.